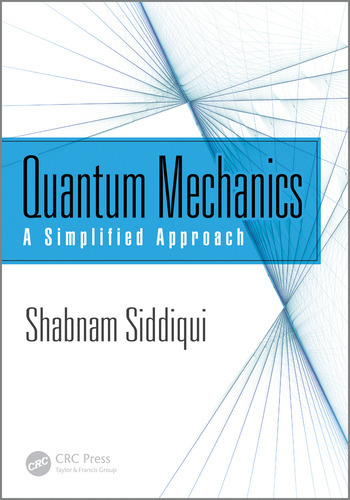 Quantum mechanics is one of the most challenging subjects to learn. It is challenging because quantum phenomenon is counterintuitive, and the mathematics used to explain such a phenomenon is very abstract, and difficult to grasp. This textbook is an attempt to overcome these challenges. Every chapter presents quantum ideas step- by- step in a structured way with a comparison between quantum and classical concepts. It provides a clear distinction between classical and quantum logic. Conceptual questions are provided after every important section so that the reader can test their understanding at every step. Such an approach aids in preventing misconceptions. Problem solving is not restricted to solving differential equations and integration. But it requires to systematically and creatively analyze a problem, to apply the new and powerful concepts for finding a solution and to understand the physical meaning of the solution. The tutorials on special topics are an effort to teach problem solving by actively engaging the reader in a thinking process, to apply the concepts and to understand the physical meaning of the solution. The simulations are provided for some of the topics. The simulations aid in the visualization of the quantum phenomenon, and for meaningful understanding of the mathematics. This approach may lead to development of "quantum mechanical intuition "as well as learning mathematical techniques for problem solving. Most importantly, the book is not flooded with numerous topics that makes the reader confused and distracted, rather the most important topics are discussed at a deeper level. The understanding of quantum mechanics is incomplete without understanding the early ideas and experiments that lead to the development of the quantum theory. Thus, the first two chapters of the book are dedicated to such topics. Dr. Shabnam Siddiqui is a research assistant professor at Louisiana Tech University, LA. She teaches physics and conducts research for developing electrochemical microsensors using carbon nanomaterials. She applies active learning approaches for teaching physics courses and focuses on developing new methods for learning physics, and quantum mechanics. Dr. Siddiqui studies properties of carbon nanomaterials for attaining reliable and real-time sensing. She has authored over 20 peer reviewed journal papers. She earned a PhD in physics in quantum computing and quantum information in 2006 from the University of Arkansas at Fayetteville, AR. Dr. Siddiqui received postdoctoral training at NASA Ames Research Center, CA, and the University of Pittsburgh, PA. She had also worked at Advanced Diamond Technologies, IL prior to joining Louisiana Tech.